Had a number of requests for more yoga in Brighton and want to do my best to offer just that. 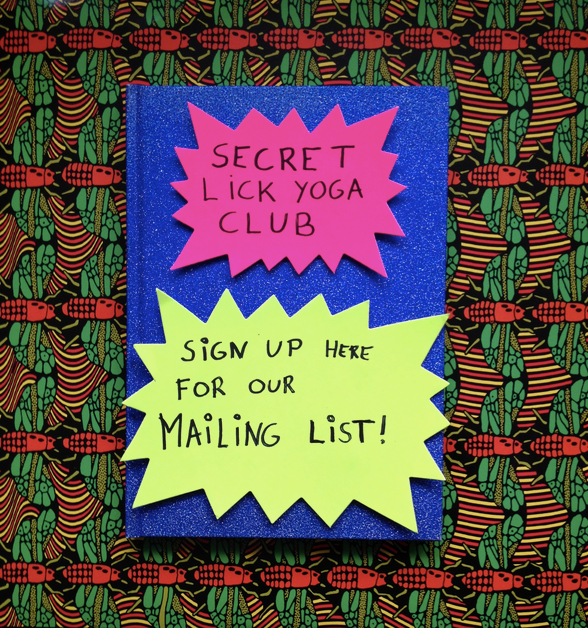 Therefore, i´m so happy to introduce the Secret Lick Yoga Club! Sessions are more intimate and longer than the regular Lick Yoga class and offered on an ad-hoc basis. Same venue, good vibes, plenty of mats, space and props available. Places are super limited and are first come, first served. Details of the event will be announced via email the day before. Sign up here and i´ll be in touch with the next “secret” date! This entry was posted in brighton yoga, lick yoga, news, schedule and tagged Brighton, brighton yoga, Lick warehouse, lick yoga, Lick yogurt, new england house, Secret Lick Yoga Club. Bookmark the permalink.